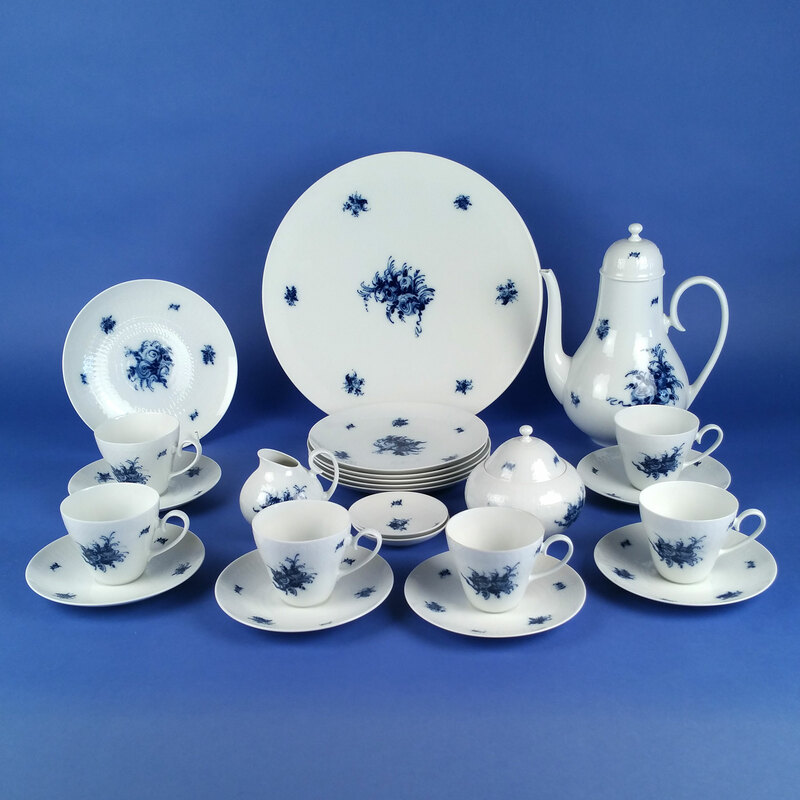 Rosenthal Romanze Rhapsody in Blue 18 Piece Afternoon Coffee Service. Designed by Bjorn Winblad, is in pristine condition. From 1961 for 44 years, Rhapsody in Blue was one of the most sought after decorations of the Rosenthal Romanze tableware genre. Natural Elegance. This pattern was a masterpiece from the creative flair of Bjorn Winblad. Such Natural Elegance in the most loved Blue and White.Each piece of Rhapsody in Blue has high transparency, which lends it a particular beauty. Holding this cup in your hand is akin to holding a rose in full bloom. The body light and curvaceous yet a strong form. A delight to hold. This is a rarity of modern production with a delightful fragile defined design. The Blue and White is and will always be the timeless favourite. The body of each piece, a white silky glaze on translucent porcelain, clear and bright. The blue deep and sensuous as only found on fine bone china. Each piece is in “as new” condition, no discolouration to the rims, no surface crazing, no chips. A cabinet service of distinction.